There's an industry that's been around for a long time. It's an industry that sticks a middle finger up at 'the man', and provides us with unofficial versions of things we want: that Ralph Lauren shirt that you can't really afford; that Hermes handbag that you wouldn't dream of spending 5 grand on; that Narin Predator sculpt that you've been dreaming of for a decade, but don't have £700 to throw at an a garage resin kit. That industry is based on illegal reproductions - knockoffs, or repops, and they're slowly killing our hobby, driving costs of production higher and higher until it's not viable to manufacture a garage kit. Repops are a great way to get hold of out-of-production kits, and affordable versions of short-run resin masterpieces. The quality of the products coming out of the Far East has improved over the years. I'm not sure if I'd be able to spot the difference between a vinyl knockoff of an old vinyl kit any more. I have in my stash a repopped Geometric Ripley from Aliens, a Predator of some description, and a Jango Fett from Star Wars Episode 2. In my defence, the repops I have were bought before I understood the subject and I haven't bought any more. It doesn't excuse me, and I should have binned the lot when I learned what they were. I haven't. That's on me, and that's what I want to talk about here. It's copyright theft. Plain and simple. Somebody, somewhere owns the rights to a product, and may or may not license that to certain distributors or manufacturers. When we buy a knockoff, we're adding to that cycle of theft. When we then sell that finished work on eBay, we're then breaking the law - we're distributing and profiting from infringed material. If the copyright holder goes out of business, the moulds languish, and the product becomes OOP. The copyright is still held by the owner, even if it's not in production. Only the copywriter owner and licensees have the right to make money (or not!) from the product. Look at the Halcyon/Aoshima/Dragon story for 'how to do licensing properly'. At some point during the life of the product, an original will be bought and copied. Moulds will be made from the copy and sold en masse at a discount. eBay doesn't really police it like it should, and you can find a lot of knockoffs coming out of Thailand and China. Usually the knockoffs have an obvious tell. The price difference is the first sign - I saw a Narin knockoff for £40 years ago, where the originals were £700+. That's a fair indicator that it's a fake. Other things to look out for are packaging and colour of material. My Geometric Ripley came bagged, not boxed, and is mounded in white vinyl. The original is mounded in a pinky-brown colour. It used to be that a 1st-gen copy was softer in detail than the original - you can do this at home with a press mould. Once you've made a negative impression (the mould), and then create a positive (the copy), you'll see it's not perfect. Make a neg of the copy, and the 2nd gen will be even worse in quality. This is a debate that has raged for ages. I remember discussing it 10+ years ago on a modelling forum. "Is it okay to use your own repopped pieces to beef up a model?" There's no 'fair use' policy in the law that I know of, so officially the answer would be NO! I used to collect AEF Designs' 1:35 Aliens kits. They were perfectly scaled to go with the Halcyon APC, and were great little models. The Eggs packs had 4-6 eggs in the bag. The kits were long OOP. I needed an egg field, so I popped my own copies to fill up the diorama. Illegal? Yes. Unethical? Yes. Did I finish it and sell it? No. No real harm done, then. 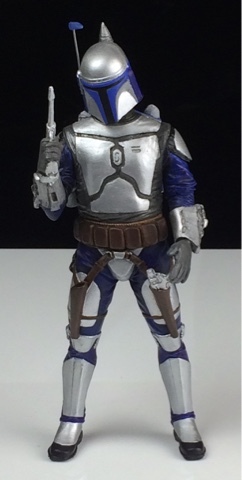 I just the other day finished the repopped Jango Fett resin figure. I've sent it to a Twitter follower, who at random hit a milestone subscriber number for my account. I'm justifying this as "it's a gift". "I'm not profiting from it." and all the other excuses you make when you've made an ethical/legal boo boo, but don't want to be judged for your actions. "It's a practice piece that I've rehomed"
To be fair, I've learned a few things building that kit - the quality was poor, the resin was a pig to clean up, and I've learned kinda where I stand in my ethical grey zone. What are your opinions? What would you like to see changed in the law? Do you care about IP and copyright? I'd love to hear your views. 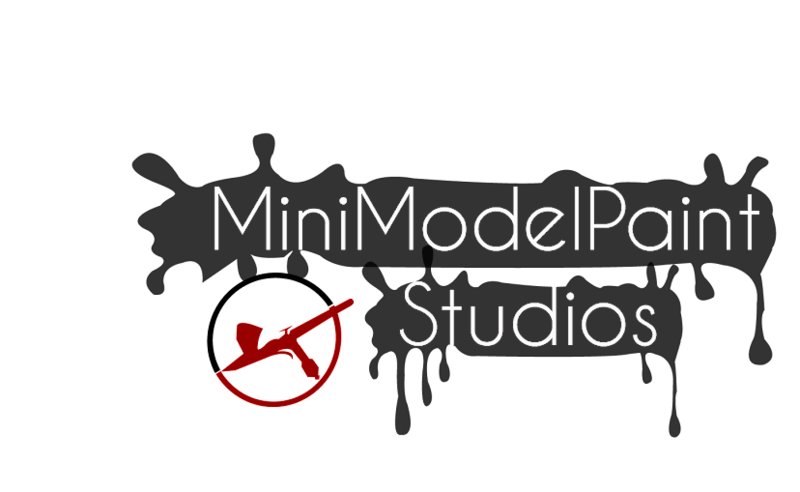 Text and photography copyright 2015 MiniModelPaint Studios. All rights reserved.